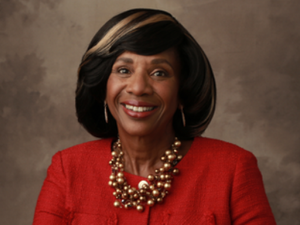 When Paulette Brown was growing up in Baltimore, she never dreamed she would become a lawyer. Instead, she wanted to be a social worker, with the end goal of “saving the world,” as she puts it. In Brown’s recollection, her mother always embodied charity and generosity, and those were the values she wanted to elevate in her future career. Brown was one of four children and the only one of her siblings to attend college. She chose Howard University at the strong encouragement of her school guidance counselor. Although she had dreamed of attending Brown University, it was at Howard that the possibility of becoming a lawyer first occurred to her. The rest was history. Fast forward several decades and a successful career at a corporate firm, Brown is now the first African-American woman to be president of the American Bar Association (ABA). In her role as president, Brown hopes to spread awareness about the possibilities of the profession to more young people of color. She plans to visit each of the 50 states, meeting with lawyers and legal organizations. Brown has also made a commitment to visit as many Boys & Girls Clubs as her schedule will allow. By her count, she has already been to 15. Her goal, she says, is to show young people that a career in law is a possibility for everyone. Diversity and representation has never looked so good at the highest echelons of power in the United States. A Black man is the sitting president for the first time in U.S. history. Under his watch, Eric Holder was named U.S. Attorney General and head of the Department of Justice, the first African-American man to hold that honor. When Holder stepped down in the summer of 2015, he was succeeded in the position by Loretta Lynch, the first Black female AG. All three achieved success via the same path that many of all races and ethnicities have trod for decades: elite law schools. Obama is a graduate of Harvard Law School, where, notably, he scored another historic first when he was appointed the first Black president of the prestigious Harvard Law Review in 1990. Holder is an alumnus of Columbia Law School, and Lynch, like Obama, graduated from Harvard Law. With this sort of representation at the higher levels of government, it would be easy to assume that the tides have turned and that the legal profession is a fully inclusive and diverse place. Yet reality paints a different picture. Despite the sort of high-profile roles held by persons of color with law degrees that have characterized the Obama administration, minority representation in the field is far from widespread. To better understand the lack of minority representation in law, it is helpful to first lay out the demographic makeup of the country. According to the U.S. Census Bureau, the population was 62 percent White, 13 percent Black and 17 percent Hispanic in 2014. By contrast, 88 percent of all licensed lawyers were White, 5 percent were Black and 4 percent were Hispanic, according to U.S. Census Bureau data from 2010 reported by the ABA. Nothing embodies the divergence between the demographic makeup of mainstream America and the legal profession quite as well as “big law.” According to the American Lawyer’s 2015 Diversity Scorecard, only 14.4 percent of lawyers at the nation’s biggest law firms are minorities, and even fewer are partners. For African- Americans, the situation is quite bleak. Only 3 percent of associates are African-American and only 1.8 percent are partners. One of the legal profession’s more notable characteristics is the rigid hierarchy that defines individual law schools. A handful of institutions, such as Stanford, Harvard and Yale, are so selective that a degree from one of them is generally regarded as a guarantee of a graduate’s capabilities. Graduates from those schools tend to be funneled into the top jobs, which has helped create the current circumstance in which all nine Supreme Court Justices attended either Harvard or Yale. The dearth of minority representation in law is partially attributable to the fact that relatively few underrepresented minorities attend the top law schools. In 2014, 9 percent of all students were African-American at Harvard Law and 7 percent at Yale Law. Asians, by contrast, are highly represented: Harvard Law’s student population is 12 percent Asian and Yale’s is 13 percent, according to the ABA. These numbers, in turn, mean that there are fewer underrepresented minorities in the pipeline to the most high-profile jobs. Due to various economic forces and a changing economy, law school enrollment overall dropped nearly 25 percent between 2010 and 2013, according to the ABA. Law school is a risky proposition even in the best economic circumstances: average student debt for a graduate of a private law school hovers around $125,000, as reported by Bloomberg Business, and there is a limited and ever-shrinking pool of corporate jobs that would allow graduates to discharge that amount of debt with their salary. Notably, minority enrollment in law school actually increased by 5 percent at the schools with lower average LSAT scores during this same period, according to research conducted by Aaron Taylor, a professor at the St. Louis University School of Law. Today, the schools with the highest proportion of African-American students are at the David A. Clarke School of Law at the University of the District of Columbia (38 percent African-American); North Carolina Central University (53 percent); and Southern University Law Center (54 percent). Charlotte School of Law (36 percent African-American) and the Florida Coastal School of Law (26 percent African-American), which are for-profit institutions, round out the top five, according to U.S. News & World Report. While an institution such as Harvard can rationalize its price tag with a very high job placement rate and bar pass rate, schools like Florida Coastal and Charlotte cannot say the same. UDC Clarke, which, to its credit, is relatively affordable and selective, nevertheless has a bar pass rate of 54.7 percent and a graduate employment rate of 68.9 percent, according to StartClass, an education research site. Florida Coastal’s bar pass rate was 74.5 percent, as stated in the university’s website, and Charlotte’s was 61.7 percent, according to StartClass. Charlotte and Florida Coastal were only accredited by the ABA a few years ago and are periodically the subject of critical news articles for their high cost (nearly $43,000 in tuition at Charlotte) and low graduate success rates. Both are owned by the InfiLaw System, a for-profit organization that also owns Arizona Summit School of Law. With an average LSAT score for incoming students of 143 at Florida Coastal, 144 at Arizona Summit and 142 at Charlotte, InfiLaw caters to those who might not otherwise have a shot at law school, 145 being the traditional cut-off point for law school admission. Minorities are also a target of InfiLaw’s recruitment efforts. In the summer of 2014, Charlotte School of Law launched a 12-day “Pre-Law Academy” at Livingstone College, a historically Black college in North Carolina. The program is open to rising juniors and recent HBCU graduates. Anyone who completes the program is offered admission to InfiLaw’s three schools. Providing access to the underrepresented and underserved is a worthy goal in many circumstances, Tamanaha says, but less so when it involves saddling students and graduates with six figures of debt. “The people who are coming to law school already have bachelor’s degrees, so they already have professional opportunities,” he says. If a school does not have a good job placement track record, he says, graduates may find themselves in debt but with job prospects no better than when they started law school.